Click here to get tickets to see Maria Muldaur on February 15th & 16th at 7:30pm! Maria Muldaur is the embodiment of what it means to do what you love, and love what you do. Her love and appreciation for all kinds of American roots music is palpable as she talks. It’s seeped into every pore, every fiber of her being, and it shines from her in a beautiful light. But, how did an Italian girl from Greenwich Village become so deeply entrenched in Blues, Appalachian music, and early R&B? It’s all thanks to a young aunt who refused to keep music to herself, and the soulful musicians whose music shook Maria to her very core. Maria Muldaur grew up in New York’s Greenwich village as Maria Grazia Rosa Domenica D’Amato. Right at the beginning of the American folk music revival. “My mother wanted me to listen to only classical music, but her younger sister listened to what she called ‘Cowboy music,’ which is what she called early country & western. My Aunt Katie sabotaged my mother’s efforts to give me a classical music education. At the age of 5 I was listening to Hank Williams, Hank Snow, Hank Thompson, lots of people named Hank, and Ernest Tubb and people like that. The first song I ever learned to sing was Kitty Wells’s It Wasn’t God Who Made Honky Tonk Angels…My Aunt taught me a bunch of Hank Williams songs, and my mother was so mad, but there was no stoppin’ us,” Maria said during a 2008 interview with Living Legends Music. She fell in love with the soulful country music as a child, then, as a teen, she got more into early R&B, rock n’ roll, and Elvis. In high school she formed a Doo Wop group with a couple of her friends, and they would sneak out after school, saying they were studying at the library, and try to get signed to a record label. Their efforts were successful. They found an agent to represent them, but when her group, called The Cashmeres, was offered a deal, her mother refused to sign the paperwork. “We actually got a guy to say he would manage us, and he got us a record deal. All this without our parents having a clue. We were only 15 or 16 years old, and we needed our parents to come down and sign the papers. I told them on a Sunday morning, I had to confess I had lied when I said I was at the library, and told them all the parents were meeting uptown to sign the paperwork, and my Italian mother said ‘OH NO YOU DON’T’ and she went uptown and put an abrupt end to my early rock ‘n’ roll career. It shattered me at the time, but in retrospect, she probably did me a big favor,” Maria said in an interview with Living Legends Music. During her tumultuous teen years, Maria ran away from home – and ended up colliding with her destiny. She became a mother’s helper for a family friend, who just happened to own an extensive record collection. The living room was was floor-to-ceiling shelves filled with every album by many well known (and obscure) jazz and blues artists. After putting the children to bed at night, Maria would do her homework while listening to music. More than having access to an eye-opening collection of music, Maria was smack dab in the middle of Greenwich Village in the early 60s – right as the American folk revolution was starting. Musicians would gather all throughout Washington Square Park on Sunday afternoon. Strolling through the park you could hear everything from jazz to blues to old timey appalachian music pouring from every corner. Maria was hooked. She dove head first into the music scene and never looked back. She started learning how to play the fiddle. She sang. She played the tambourine. She joined the Even Dozen Jug Band then moved on to the Kewskin Jug Band, where she met her husband, Geoff Muldaur. She recorded songs with the Jug Bands, and even a couple of albums with her husband, but her solo career didn’t take off until 1973, after she recorded her first album. That album contained her big hit “Midnight at the Oasis,” which got all the way up to number 6 on the Billboard Hot 100 in 1974. To this day it’s the song she’s best known for and she never fails to perform it at a show. Having a hit pop song helped open many doors for Maria’s career, and she wasted no time walking right through! She started touring with the Grateful Dead, opening for them at shows, and sang backup for the Jerry Garcia Band. She was influential in bringing attention back to American roots musicians, like Doc Watson by convincing him to come to California and re-record his historic music. She shone the spotlight on forgotten female artists and innovators like Memphis Minnie, Blue Lu Barker, and Victoria Spivey, women who influenced music in bygone eras and didn’t get the same credit as their male counterparts. Maria Muldaur has had a long and storied career over the past 50 years. She’s toured extensively around the world and recorded over 40 albums! Plus, listening to her speak about her life and experience is almost like a history lesson in American music. Though she’s spent decades learning about, listening to, playing, and singing the spectrum of folk music, Maria has settled into singing the Blues. Her most recent album, Don’t You Feel My Leg: the Naughty, Bawdy Blues of Blue Lu Barker, covers the little-known songs New Orleans songstress Blue Lu Barker. It has been nominated for a Grammy for Best Traditional Blues Album. She’s been nominated many times before – six to be exact – and she hopes to actually win this time! 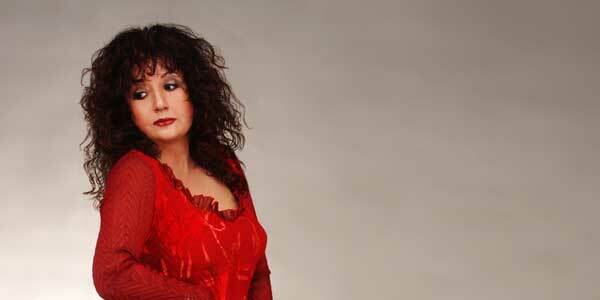 Maria Muldaur’s performance is part of the Studio Cabaret Series at TOCA. The Studio Cabaret Series is a way to enjoy musical talent and tasty food in an intimate setting; it’s like dinner theater for your ears! The performances are set in the George Nakano Theatre at four-seat cocktail tables. Meals for the Series this season are prepared by the talented chefs at the Red Car Brewery. Dinner for the performances of Maria Muldaur will be chicken piccata and Caesar salad. Plus goodies from the always-delicious Torrance Bakery will be available at intermission. Maria and her special brand of New Orleans Blues, something she calls “Bluesiana” music, along with some A-list NOLA musicians, will be at the Nakano Theatre on February 15 & 16 at 7:30 pm. Tickets are still available, you won’t want to miss this performance! Get Tickets to Maria Muldaur!